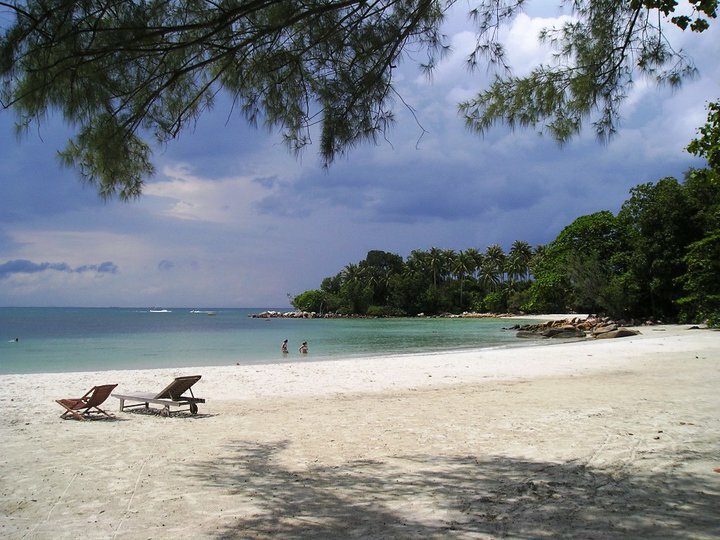 Lagoi beach is located in North Bintan sub-district, Bintan, Riau Islands province. This beach is majestically beautiful and have the same value as other beaches in Bali or Lombok. By the beauty inside the beach, there are foreigners coming along to enjoy the beach, especially for those who come from Singapore. It only takes 45 Km between Lagoi beach and Singapore, and that makes the Singaporean come to the beach often. Lagoi beach offers the magnificent nature beauty. Coconut trees, white sandy beach, the rolling waves and every detail nuance in this beach are beautiful and worth delivered as five stars beach. At this beach, tourists can enjoy the outdoor activities like sun-bathing, swimming, snorkeling, diving or just walking along the beach. Near to the beach, there are a lot of resort, with international standard that can pampering your days during vacation. For more fun during holidays, we can enjoy the facilities from the resort like spa, golf or swimming at pool. For culinary satisfaction, do not worry about this privilege because there are some valuable seafood restaurants along the beach. Instead of restaurants, there are also some traditional stalls that offer traditional Indonesian foods from Bintan or local food. To reach Lagoi Beach, you can start the journey from Tanjung Pinang by using a private car or public transportation such as taxis or rental cars. It takes about 1.5 hours from Tanjung Pinang. However, if you are from Batam, you should use the services of Lake Punggur harbor crossing. From this port, you can use the motor boat (speed boat) to Tanjung Uban. Arriving in Tanjung Uban, you can continue the journey by taxi. The time required approximately 25 minutes from Tanjung Uban.